Lisette Model redefined documentary photography in the early forties through her direct, honest portrayal of human character. Her large format photographs of common people registered the physical and emotional impact of modern life. Model was readily embraced by the New York photographic community, and her work appeared regularly in Harper's Bazaar and other publications. Her most influential works are the photographic series on the Promenade des Anglais in Nice and on the streets of New York's Lower East Side. Model later shaped the direction of postwar photography as a teacher of the medium at the New School for Social Research. Lisette Model's photography exemplifies the European photographic tradition and its influence on American modern photography. 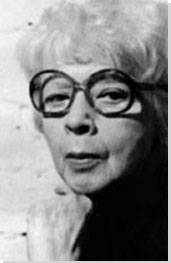 Avant-garde techniques such as low-angles, sense of movement, window reflections, and natural photomontages defined her approach. Together with Model's keen urban observation, these innovations allowed her to saturate her photos with the pulse and cacophony of city life. Model's first series of photographs, known as the Promenade des Anglais, taken on the Riviera in France, demonstrates her first tentative experiments with the medium. In these photos, she approached her subject, the French upper middle-class, with a raw instinct, which was further enhanced by her over-sized, grainy, and coarse looking prints. Edward Weston readily recognized the raw power of her work. Model's main subject was the social and psychological landscape of New York City during the 1940s. As the art historian Lisa Hostetler noted, "Model's penchant for photographing common people in lackluster urban places echoes Surrealism's insistence on the presence of psychic meaning in the often overlooked, humble details of everyday life." Model's photography represented a new photographic expression that eliminated any pretension of objectivity. Model self-consciously revealed and confronted her subject, using photography's realism to expose a moment of truth between the photographer and the photographed. Model's subjective approach (its method and perspective) encouraged creative photographers, and her many students, to maintain their independent voice, while working for the mass media. 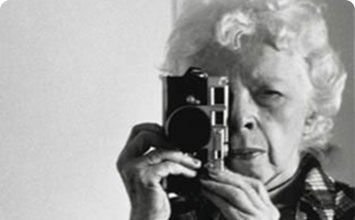 Lisette Model was born Elise Amelie Felicie Stern in Vienna. Her Jewish father Victor Hypolite Josef Calas Stern was a wealthy Italian-Austrian doctor, and her Catholic mother François Antoinette Félicité Picus was from Savoy, France. In response to the growing anti-semitism in Europe at the time, Elise's father changed the family name from Stern to Seybert. Elise and her siblings, Salvatòr and Olga, were baptized in the Christian faith. The Seybert family lived in a fairy-tale mansion in a noble area of the city, but Elise was a reclusive child in comparison to the youngest of her three siblings, Olga, who was the most beautiful and smartest. Model captures the Gambler Type in this photograph from the series Promenade des Anglais in Nice. This seemingly idle, and rich man enjoys dozing off under the sun. He acknowledges the photographer's presence, yet he does not move more than his eye lids. Model observed his manner of sitting, his dress, and his face, all of which reveal a man who adhered to conventional social etiquette. Yet, his self-image tells nothing about his cunning skill as a gambler or that he is a gambler. Instead, it reveals his custom of whiling away the afternoon alone. Model scrutinizes and ridicules her subject in Gambler Type through her eye-level depiction, showing him as a character, a type, and a symbol of the European bourgeoisie. Interestingly, Model herself came from the same class. The photo-historian Vicky Goldberg commented, "...as Europe sank into the Depression [in the early 1930s] and photographers began to think about documenting the plight of the poor, Lisette Model picked up a camera for the first time and photographed the upper-middle classes." Her images recall the Austrian painter Christian Schad's sharp-focused portraits of old aristocrats, bohemians, and new rich, which record a mixture of elegance and decadence that characterized this "class of lost souls" in twenties Vienna. The Promenade des Anglais series was Model's first photographic project. It was published in the French illustrated magazine Regards and accompanied a text that harshly criticized France's upper middle class. Although Gambler Type is not explicitly political, its social criticism fit within a leftist, European worldview that lay the cause for the political and economic turmoil of the thirties at the feet of industrial capitalism, which financed the lifestyle of a wealthy, idle middle-class. This image of a crowded sidewalk unmasks New York City's crowded streets and frenetic pace through the walking legs and clustered shoes of its urban dwellers in the major commercial and tourist center. It conveys the feeling of being overwhelmed by this crowded environment. Model laid herself on the ground to capture from curb-level the dynamic and varied urban movement. As her close friend, the photographer Berenice Abbott commented, "[Model] uses the camera with her entire body." Here she fuses the European tradition of urban observation and photo-graphic experimentation, in particular the unconventional viewpoints and antagonism toward class and status. These faceless shoes and legs represent Model's beloved city - a New York that is modern and energetic. Times Square is one of her early metropolis pictures, and it captures the photographer's enchantment with her new home. This photograph, part of her Reflections series, captures a male bystander's silhouette reflected in a shop window. The bystander stands right in front of the window, while he looks into the shop's interior and its display of folded linens. The reflections in the plate-glass window blur the boundaries between interior and exterior spaces: the various piles of linen merge with the facade and towers of a building across the narrow street, shop signs appear on the right of the male figure, and a man's hat emerges at the bottom of the image. The white spheres of hanging light bulbs also appear in the image. They playfully imitate in miniature the moon's large round orb, suspended high in the sky at the top edge of the image. Model was fascinated by the Lower East Side and found inspiration in its small bistros and shops. She used shop windows to frame the chaos of the city as well as anticipate the brooding, shadow-filled aesthetic of film noir, which emerged around this time in America. This particular photograph perfectly captures the sense of intrigue at the heart of film noir - the man as a mystery, whose interior self is metaphorically reflected through the indecipherable signs and flickering light bulbs in the window. Model believed the images conjured within these shop windows were natural photomontages. As noted by her close friend Berenice Abbott: "reflections are mirrored in a manner acutely visual and selective without being 'impressionistic.' These images whether double or triple are indeed amusing, jog our ribs and suggest many related images." Model's composition is reminiscent of Eugène Atget's Parisian shop windows from the 1920s with their spatial and reflective, yet surrealist qualities. Coney Island, also known as Coney Island Bather, is Model's most iconic photograph. The bather poses as a diva, lying on her side on the sand, propping her head up with her bent arm and supporting herself with an outstretched arm, all the while smiling at the camera. Model used the snapshot's spontaneity to describe this common woman's vitality and expression, presenting her as an everyday goddess. This image appropriately illustrated an article that celebrated Coney Island as a democratic space for leisure, which appeared in Harper's Bazaar. This photograph aimed to empower its subject, unlike the series Promenade des Anglais, which aimed more to ridicule. Based on Model's own account, the bather, who was extremely excited to have her picture taken, would confront onlookers by saying: "What's wrong with you? Have you never seen a fat person before?" The photographer's interest in strong female figures is seen throughout her entire body of work - from her overweight bather, to her divorcées, and her Jazz singer; they are all depicted as resilient and confident women. Alberta-Alberta is the name of the performer, who portrays a hermaphrodite. This performer visualizes masculine and feminine qualities on the right and left sides of his body through his manner of dress. On his feminine, left side, he wears half a bra and an ankle-length stocking and high heel, whereas on his masculine, right side, he wears no bra, exposes his hairy leg, and wears a sock and a man's lace-up shoe. The photograph highlights the hermaphrodite's gender ambiguity. Model was fascinated by the performer, and she once noted that "he was a Parisian, he had been a woman until the age of 35, with four children, and when the fourth child was born, he slowly but surely turned into a man." This photograph underscores Model's interest in those urban figures, odd individuals and "freaks," who shaped our image of New York City. Hubert's 42nd Street Flea Circus was a basement phantasmagoria that showed everything from sword swallowers to contortionists. It was a popular place amongst New York avant-garde photographers, even Arbus frequented Hubert's before it closed in 1966. Hubert's Flea Circus tapped into the period's fascination with the exotic, a fascination shared by German Expressionists, who like Model examined the oddity of modern subjectivity. This energetic image presents the female Jazz singer as a statuesque figure by photographing her from below and at an angle. Her headdress morphs with her hair, making it look electrified. Besides its acute viewpoint, "the camera's capacity for arresting movement" is what is important in this image, according to the photo-historian Ann Thomas. This instantaneous snapshot, with its imperfect and happenstance appearance, captures the Jazz singer's characteristic enthusiasm. For Model, the snapshot came closest to the truth, allowing her to scrutinize her subject's character, even in its grotesque form. For Model, Jazz was America - a sentiment shared by the German and Austrian Expressionists whom she met in Vienna - and her passion for this music can be felt in her theatrical and expressionist portrait of a Singer at Café Metropole - one of the best clubs in the city during the 1940s. Model was very much interested in New York's vibrant night scene and she was a devoted Jazz fan. Divorcée, Reno is a classic and elegant portrait of a woman, watching a bronco-riding event. It is taken slightly above eye-level and at bust length to dignify the subject. The photo-historian Gordon Baldwin remarked: "this portrait contains some fascinating dualities: the woman's provocative gaze is both glamorous and reticent, cosmopolitan and provincial, feminine and masculine. It is hard to say whether the subject is a bold, recent divorcee enjoying the spectacle of bronco riding or a nervous wife waiting for a decree to end a broken relationship." However, this divorcée was actually waiting to receive her state residency in Nevada to be able to divorce under Nevada's law. In the 1940s, Nevada was the only state granting divorce. Model traveled to this state on assignment for the Ladies' Home Journal in 1949. She produced a photo-essay on divorce in Reno, which included images of the Winne family. The Winnes owned a ranch that received women waiting for their state residency to divorce. Model photographed more than just the Winne family; she depicted the guests, future divorcées, and gamblers staying at the family's ranch. Divorcée, Reno demonstrates Model's sensitivity to the impact social restraints have on individuals as she portrays the gutsiness of this individual woman. Along with Model's photo-essay on divorce, this portrait has been overlooked until only recently. It has nevertheless become one of her famous, iconic images. Museo Capidoglio, Rome personifies a male bust, as the strong shadows and contrasts add drama. Although this photograph might seem like a tourist snapshot at first, it expresses the same emotion and visceral qualities found in Model's portraits. Model spent five-months Europe in 1953 in order to sell a family property. During this trip, she became extremely productive. Amongst the thousands of negatives she took, there were photographs of statues, buildings, and monuments. There has been much speculation as to why Model became increasingly interested in sculpture or inanimate figures, as of the 1950s. A plausible explanation could be her fear of Senator Joseph McCarthy's anti-communist witch hunt, which could have prompted her to switch subject matter. Or Model could have become fascinated with the expressive qualities found in Renaissance art and architecture. The bust, Model photographed, was located in the Capitoline Museums in the Piazza del Campidoglio, on top of the Capitoline Hill in Rome, Italy. Works such as the Museo Capidoglio, Rome were considered of a lesser significance and remained unknown until 1990, when The National Gallery of Canada presented the most complete Model retrospective to date.